Researches indicate that the dysregulation of microRNA (miRNA) is involved in tumorigenesis. Among such dysregulated miRNAs in cancer, miR-145 is reported to be downregulated in multiple cancers. In this study, we demonstrated the downregulation of miR-145 in triple-negative breast cancer (TNBC) tissues and TNBC cell lines by quantitative reverse-transcription polymerase chain reaction (RT-PCR) analysis. 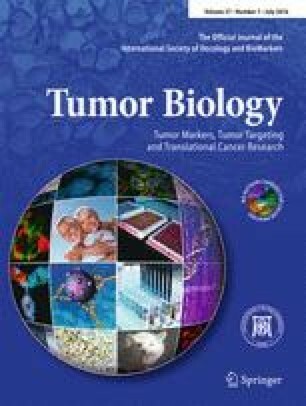 Furthermore, we found that the tumor necrosis factor-alpha (TNF-α)-induced apoptosis was expanded by the transfection of miR-145 in MDA-MB-231 which belongs to the TNBC cell lines. We then indicated that the mechanism by which miR-145 promotes the TNF-α-induced apoptosis is dependent on the formation of RIP1-FADD-caspase-8 complex. The cellular inhibitor of apoptosis (cIAP1), which is the inhibitor of apoptosis protein, was found to be a target of miR-145 in MDA-MB-231 cells. As a result of cIAP1 overexpression, the promotion of miR-145 on TNF-α-induced apoptosis was inhibited in MDA-MB-231 cells. Therefore, our results indicate that miR-145 acts as a tumor suppressor in TNBC, suggesting that the miR-145-cIAP1 axis might be a potential therapeutic target for TNBC. This study is supported by the Central Laboratory of The Second Affiliated Hospital & Yuying Children’s Hospital of Wenzhou Medical University and the School of Laboratory Medicine and Life Science affiliated to Wenzhou Medical University. All samples were collected with patients’ informed consent, and this project was approved by the Ethics Committee of The Second Affiliated Hospital & Yuying Children’s Hospital of Wenzhou Medical University.